There will inevitably be tensions, but the core interests of workers and the labor movement lie both in defeating Trump and in forestalling the devastating effects of climate change on themselves and their posterity. VIDEO: Andreas Malm, author of Fossil Capital: The Rise of Steam Power and the Roots of Global Warming, speaks to the Campaign Against Climate Change Trade Union Group in London. An IWW supporter discusses how can radical activists and environmentalists work with conservative workers and unions. 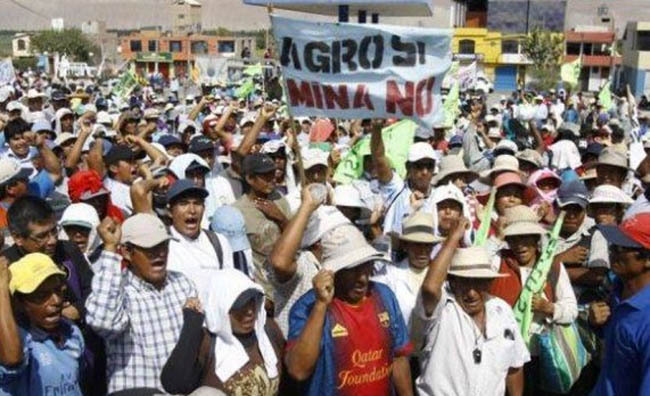 What does it take to stop a transnational corporate giant in its tracks when it threatens workers, farmers and communities? The people of Arequipa, Peru have an answer. 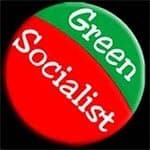 Ecosocialist Resources, published monthly in Climate & Capitalism, links to articles, reports, talks and videos that are relevant to our mission. The movement to divest from fossil fuels is strong and growing. It’s time for the labor movement to join that process. 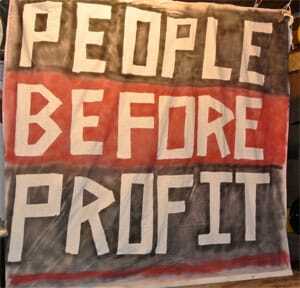 Cutting greenhouse gas emissions will throw millions of people out of work! That claim has made many working people reluctant to support action to slow climate change. But is it true? Attempts to solve the environmental crisis without challenging capitalism will fail — and the only force that can defeat capitalism is the working class.